Want to fix the problem of Apple Pay Cash not working on your iPhone after iOS 11.2 update? Here this post will show you some trouble-shooting tips to address the issue of Apple Pay Cash not available. 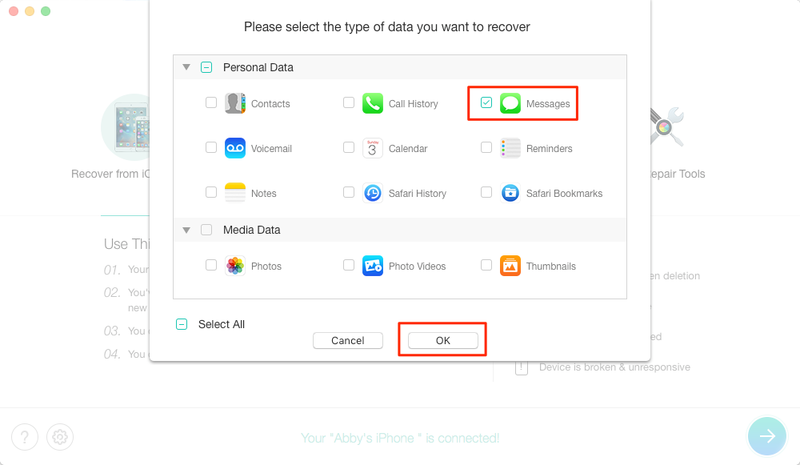 This industry-leading iOS data recovery tool can help you recover deleted iMessages from iPhone/iPad selectively without any backup. Just get it and have a free trial. Apple has released the latest iOS 11.2 with some new features like Apple Pay Cash, which lets users send and receive payments in a seamless way. At present, Apple Pay Cash is only available in the US on iPhone SE, iPhone 6 and later, Apple Watch, iPad Pro, iPad (5th Generation), iPad Air 2 and iPad mini 3 or later. To use Apple Pay Cash, you need to log into the same Apple ID in the iCloud and iMessages on your iOS 11.2 devices, get an eligible debit or credit card, use two-factor authentication and verify your identity for full functionality. 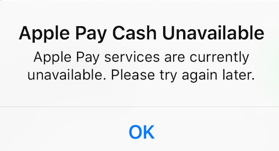 But there are still many users complaining that Apple Pay Cash is not showing up after updating to iOS 11.2, so here we’ll offer some quick tips to fix Apple Pay Cash not working problem. Make sure you fulfill all the requirements of using Apple Pay Cash, and then follow the steps below to setup and use Apple Pay on your iOS 11.2 devices. Step 1. Go to Settings > tap on Wallet& Apple Pay > turn on the switch that’s next to Apple Pay Cash. Step 2. Tap on Apple Pay Cash card > tap on Continue and agree to the terms and conditions to create you Apple Pay Cash card. Step 3. Then you need to connect it with your bank’s debit card and scan your Debit card with your iPhone camera. That’s it! Step 1. Launch Messages and open the conversation and tap on the App Store icon. Step 2. In iMessage App Drawer, tap on Apple Pay icon. Tap on the dollar icon and enter the amount. Choose the relevant option based on whether you wish to send or receive money. Step 3. You should see a preview in the text box. Tap on the Send button. Step 4. Then you need to authenticate with your Face ID or Touch ID if you are sending money. Tip 1. Restart your iPhone/iPad/Apple Watch. It’s the easiest way and sometimes works for iOS error. Tip 2. Check your device mode and make sure your iDevice is compatible with Apple Pay Cash feature. Tip 3. Setup Apple Pay Cash again in Setting. If there are some problems in your setting up process, then you need to setup it again. Tip 4. Backup and restore your device. You can also try to backup your device and restore it, then try to use Apple Pay Cash to see if it works. Tip 5. Reset network setting on iPhone or iPad. Settings > Choose General > Scroll down and tap Reset > Tap on Reset Network Settings > Enter your password. Tip 6. Wait for few hours. It may take some time to let every user use Apple Pay Cash on their iMessages conversations. Just wait for few hours and even several days and see if it works. After fixing the problem of Apple Pay Cash issue, you may send and receive money in iMessages with friends to enjoy a more convenient lifestyle. But what if you accidentally deleted some iMessages including some transfer evidence from your iPhone/iPad? Clearly you don’t want to perform a backup restore on your device, so just rely on PhoneRescue for iOS to get your deleted iMessages back selectively without any backup. Step 1. Go the download page of PhoneRescue for and get PhoneRescue for iOS installed to your computer. Run PhoneRescue for iOS on your computer and connect your iPhone/iPad > click on the Right Arrow button to start. Step 2. Select Messages box and uncheck others > click on OK. Step 3. PhoneRescue for iOS will show you all messages including the deleted ones. 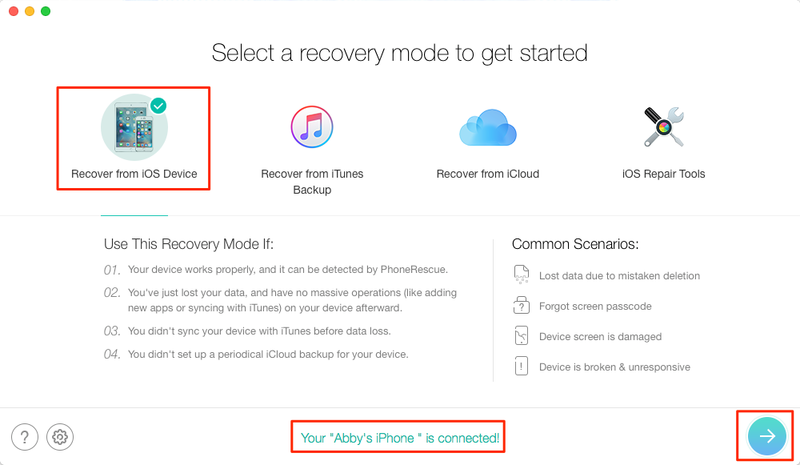 Preview and select the iMessages you want to recoverand click on Recover button (Recover to Computer/Device). With the simple methods we offered above, you should have solved the problem of Apple Pay Cash not working on your iOS 11.2 devices. What’s more, you can use PhoneRescue for iOS to help you find deleted/lost iMessages back even without any backup. So why not give it try now?